Wild Flower Daydream is my latest painting. Completed 4/1/14. Agnes lives deep in the woods of Maine. 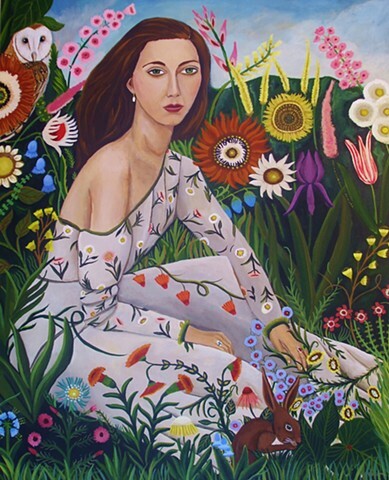 On any given day, in the summer, you can find her among the wild flowers. This painting is 16x20 created on a birch wood cradled panel. Sides are painted to match and it's wired and ready to hang. Thanks for looking..